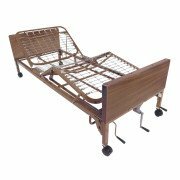 This type of bed uses hand cranks to change positions. If you are unable to operate the cranks, a caregiver will need to help. The cranks are usually located at the foot of the bed, at bed deck height. Manual beds may not have as many positions as an electric bed. 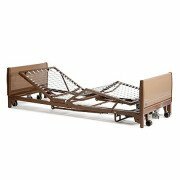 A manual bed may be difficult to operate for a person who has limited mobility or arm strength. The operator needs good arm and shoulder strength to turn the cranks to raise and lower the patient.